Western parts of Lisbon are typically spacious, peaceful and green – they are traditionally considered upscale areas of the city. This applies to Ajuda too. Located between Monsanto forest and famous Belém neighbourhood, Ajuda property offers good connections, calm atmosphere and charming architecture. In terms of property, Ajuda is interesting and diverse: you can find modern, spacious apartments in recently-built blocks of buildings, but there are also modern townhouses available, with a garden and a pool if you so wish. And for those looking for more traditional housing, there are beautiful older, well-maintained buildings and villas in Ajuda too. If you are interested in an Ajuda property, there are many options for you here. The average prices of Ajuda apartments are approximately Average price per sqm. in Ajuda €4,621 -1% properties#: 143 last change on: 19 Apr 2019 €4,621 per sq. meter. If you are seeking to buy a house in Ajuda, you can expect an average price range of around Average price per sqm. in Ajuda €4,091 0% properties#: 35 last change on: 19 Apr 2019 €4,091 per sq. meter. For Ajuda investments the prices are around Average price per sqm. in Ajuda €3,024 -2% properties#: 53 last change on: 19 Apr 2019 €3,024 per sq. meter. The most renowned real estate agents operating in Ajuda are REMAX, with more than 100 listings. They are followed by ERA, CBRE and Keller Williams. Ajuda is one of the areas in Lisbon that has become popular among international investors and home buyers. The NHR (non habitual residence) tax benefit programme is one of the reasons that make the city an attractive option for EU nationals coming from countries such as France, Sweden, Belgium or Germany. Those non EU-nationals that invest a minimum of €500,000 in property can apply in Portugal for a so-called ‘Golden Visa’. Ajuda is a great spot for those who are looking for excellent conditions in a local setting. Its range of amenities has flourished in the past few years; while it used to be a relatively sleepy area, now you don’t need to leave the neighbourhood if you’d like to enjoy an excellent meal or a good cup of coffee with a local pastry. Ajuda has many small local shops and a traditional market hall, Mercado de Ajuga, where you can buy fresh fish, locally produced dairy products, fruits, season’s vegetables and fresh bread. For a bigger shop and more variety, there are a number of supermarkets in the area. For families, Ajuda is a suitable choice, as it is a safe neighbourhood and besides local schools there are international schools available too. The closest one is Park International School in Restelo, less than three kilometres away, or Oeiras International School is a bit over ten kilometres. Some of Lisbon’s well known international schools, such as Park International School in Cascais or St Julian’s School in Carcavelos, are located further to the west, 20-30 kilometres away from Ajuda. Other services include a nearby police station and a fire department. As well as Ajuda’s own health centre, there are two major hospitals nearby: Egas Moniz and São Francisco de Xavier. There are various private hospitals and health centres within fifteen kilometres’ reach. 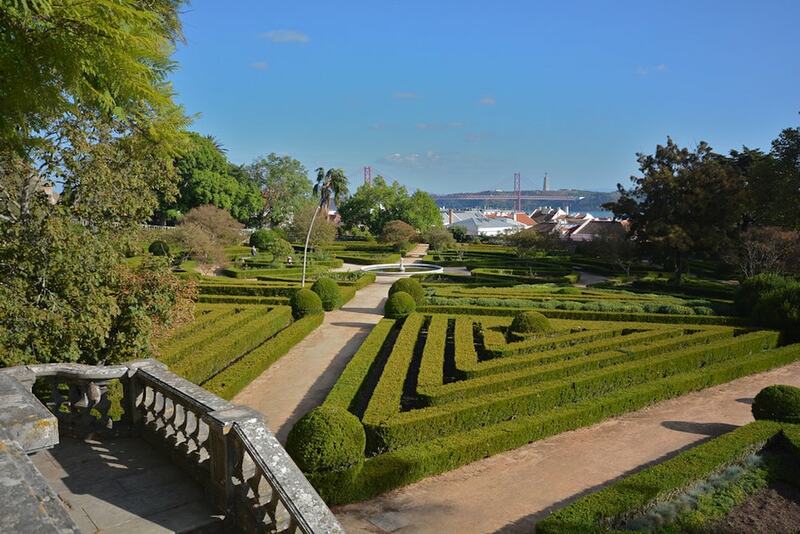 Ajuda offers also some of the most beautiful green spaces in Lisbon. It is the home of Ajuda’s stunning Botanical Garden with exotic plants and adorable fountains. 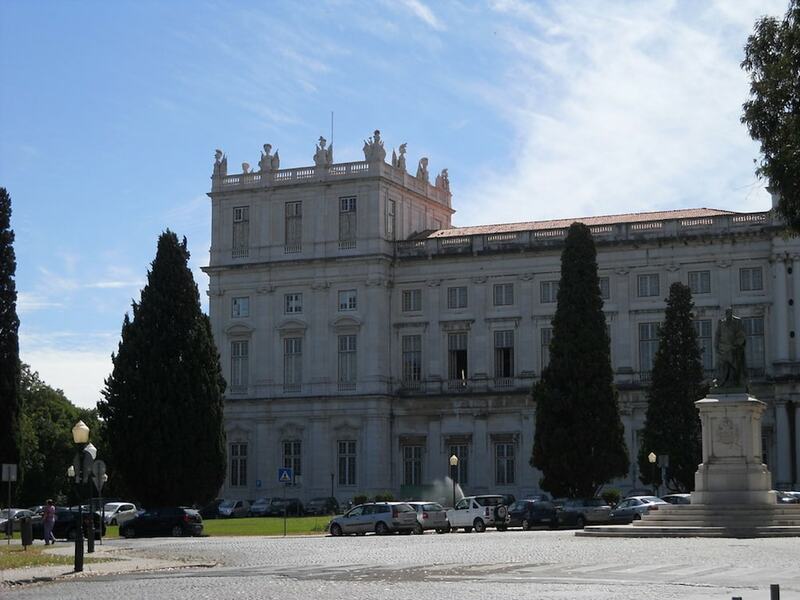 The Ajuda National Palace, a remarkable royal palace built in the nineteenth century, is surrounded by lovely gardens. For jogging, picnics or other outdoor activities the Moinhos de Santana is an excellent option. Located within the neighbourhood, it also has a small lake and a great viewpoint. Monsanto forest, the biggest green area of Lisbon with over ten square kilometres, is not far either. It is a great area for jogging, hiking and simply enjoying nature. An Ajuda property will give you access to both city life and the chance to immerse yourself in calmer, greener surroundings. Ajuda properties benefit from an excellent location in regards to some of the best spots in Lisbon. Ajuda itself is located close to the Tagus river, and has lovely viewpoints with unforgettable river views. 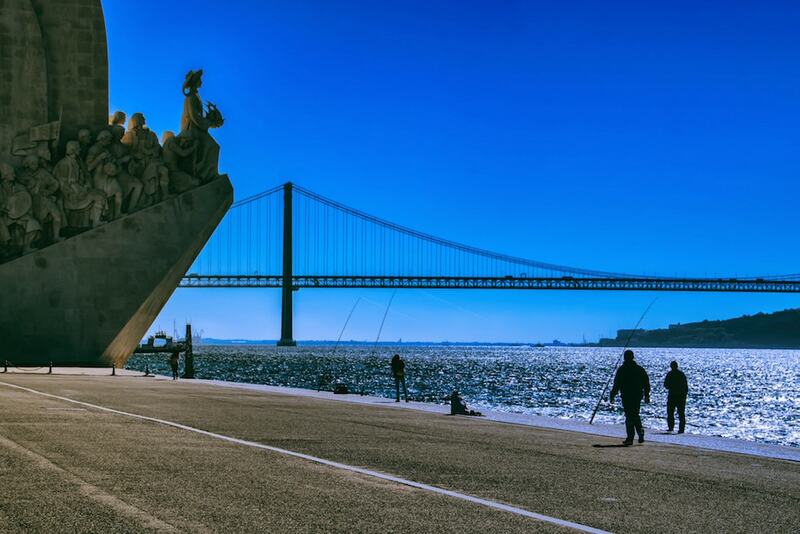 Belém, one of the most remarkable neighbourhoods in Lisbon, sits right next to Ajuda. It has some of the most fascinating sights of Lisbon, and is known for having the best pastries in town: the original pasteis de Belém (custard tarts) are served up in the original café that dates back to the beginning of the twentieth century. There are beautiful green spaces and cosy restaurants here too; Belém also has its own marina, located just three kilometres away from Ajuda. Living in an Ajuda property also means living surrounded by culture. Belém has its own Cultural Centre that offers top class jazz and classical music concerts. It is also the spot of the the famous Berardo Museum, known for an excellent contemporary art collection and other fascinating exhibitions. 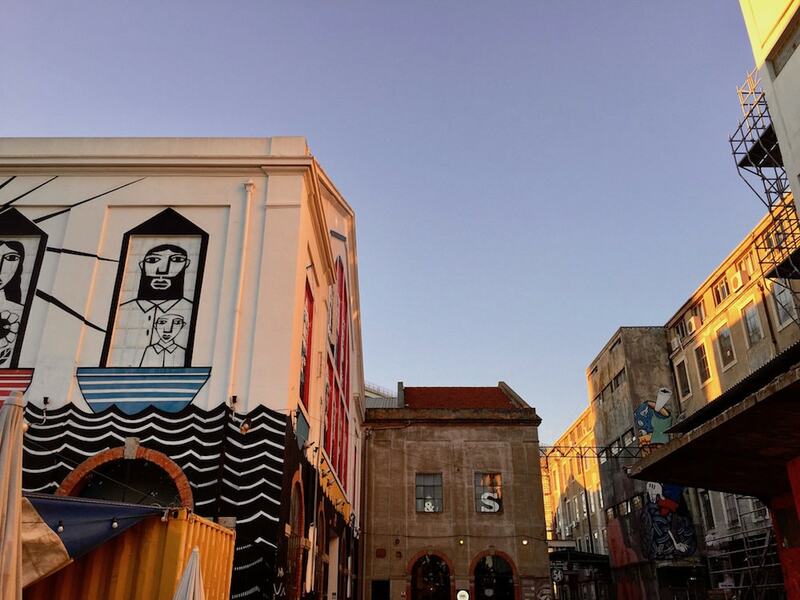 Another interesting spot close to Ajuda is LX Factory. Built in an old factory, it now hosts a range of galleries, restaurants, cafés and shops as well as a beautiful book shop called Ler Devagar that boasts a variety of international books too. Rio Maravilha, also based in LX Factory, has become one of the town’s best rated restaurants, offering great cocktails, lovely food and stunning views over the Tagus. Moreover, Lisbon’s lively city centre with excellent shopping options, top class restaurants and charming fado bars is just six kilometres away from Ajuda. And it only takes a ten minute drive to reach Lisbon’s best beaches! All this makes it without a doubt one of the best areas to live in Lisbon.